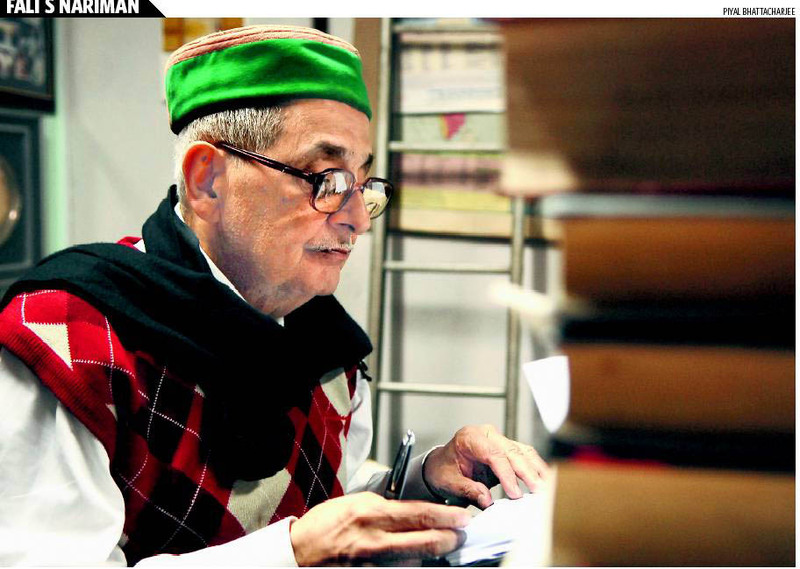 There is no doubt that Mr Nariman’s observation came in reaction to recent outpourings from some organizations or establishments that subscribe to the ideology of RSS. He is concerned about the aggressive Hindutva ideology of those who seek to turn India into a Hindu nation or asserting that it is indeed a Hindu nation. Hinduism is a religion, while Hindutva is a political ideology. Recently from some self-styled champions of Hindutva we have witnessed innumerable outbursts of hate speeches on issues ranging from the propaganda of what they call “love jihad” to the ideological assertions that in India ‘we are all Hindus’. They have also unleashed an attack on the liberal Hinduism. They are telling those Hindus, who accept Shirdi Sai Baba- a Sufi born in Muslim family, as their God, that they are doing it wrong. In a broad pattern of their attack they target the religious minorities in one way or the other. The basic question we need to address is whether the voices coming from the RSS combine represent actual Hinduism or they are related to the new practice of politics in the name of Hinduism? The question becomes more pertinent when we see group like Al Qaeda or ISIS acting against humanity, in the name of Islam. During the freedom movement, we saw men like Gandhi and Maulana Azad, who, despite being deeply steeped in their religions, came forward and led a political movement, which was secular to the core. During the time we also saw people like Jinnah and Savarkar, who were not religious in the real sense, but they led the politics in the name of Islam and Hinduism, respectively. RSS combine identifies Hinduism mainly with the narrow stream of Hinduism, or rather, Brahmanism. Hinduism is not based on a single book, prophet or a clergy. Polytheism being at its root, the religion has many theologies, practices and a plethora of holy scriptures. Since large sections of Hindus, were following Gandhi, the illiberal Hindu Mahasabha-RSS brand of Hinduism, remained on the margins during those days. But, during the last three decades, starting with the Ram Temple agitation, the Hindu nationalist-driven political campaign has thrown up the intolerant propaganda about the ‘others’ in a blatant way. With the current dispensation where BJP is leading the coalition, the leaders of the ruling Hindu nationalist party and its affiliate organizations are being patronized by the state which has helped them intensify the hate propaganda against the country’s religious minorities. Their pronouncements are aimed to intimidate those who do not agree to their version of state and politics. The politics of RSS is not just intimidating the ‘others’ but also threatening those liberal Hindus . As religion is being pushed deeper into politics the intolerance level in the society is going up. The challenge of our times is to distinguish between the politics in the name of religion and religion per se. Mr Nariman’s statement reflects how the veteran jurist is disappointed with the democratic liberal ethos being challenged by the rising assertion of the Hindutva politics led by the RSS combine. On a personal note I have long been receiving good number of hate mails routinely, as these articles of critical of politics in the name of Hinduism, or politics in the name of any religion for that matter. I know that another article on RSS and Hindu nationalism is going to uptick the quota of the hate mails for me.